When I was is college, I ended up in the hospital with severe abdominal pain. The doctors weren’t sure what was wrong with me so it was a wait-and-see kind of treatment. No elevated temperature so an infection and appendicitus were ruled out. The doctors did allow me to eat. Gelatin. Breakfast, lunch and dinner. And always the same flavor. Orange. I had no choice of flavor. As it turned out, I had a bad reaction to a OTC medication. Time healed this particular pain. To this day I can not eat plain gelatin. Ever. But I do like it with fruit or vegetables in it. As long as it isn’t orange. This entry was posted in food, Random and tagged food, orange gelatin, plain gelatin, random thoughts by Patti_is_knittinginflashes. Bookmark the permalink. I don’t like plain gelatin either. Not sure if I could gag down plain gelatin. that is so funny ! i can’t eat tuna salad with hard boiled eggs cut up in it . yuck ! i do love both those things but not together . 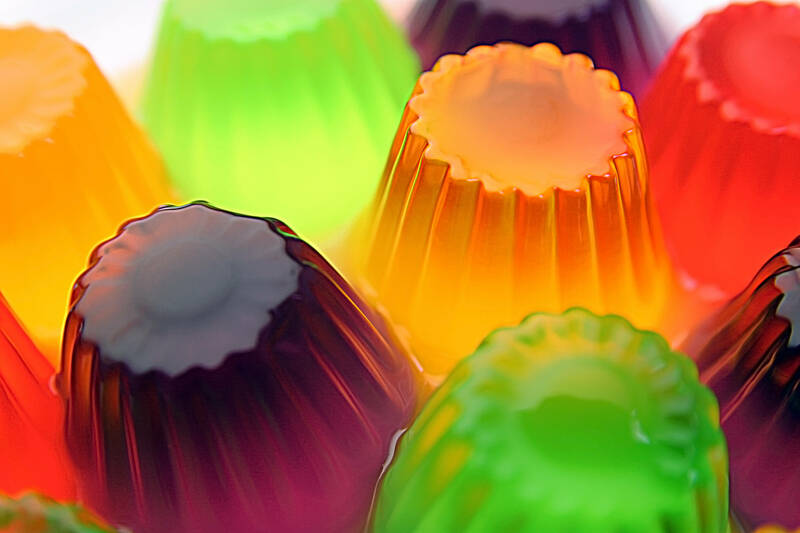 I like green jello – alone or with fruit in or whipped! Just give me a spoon! !